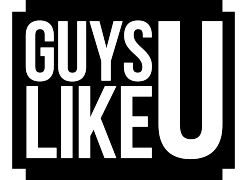 GuysLikeU’s dating expert Dean McCullough chats to sassy DJ, socialite and model Munroe Bergdorf about love life and everything in between. DJ, model, you name it, she’s done it. Munroe Bergdorf has the world in her hand, and she knows it. Now she’s modelling for Uniqlo’s new campaign This Way to Utopia, alongside the likes of rapper and producer Skepta, Cate Underwood, Hana Tajima, Benji B and Sean Frank, photographed by Rankin. We caught up with the trans icon to chat fashion, romance and being a role model . Munroe, I am surprised we’ve been able to get you in one place for five mins, you seem to be super busy – what’s been keeping you out of trouble? (Laughs) I’m shooting a documentary at the moment for the BBC so I’m a bit here there and everywhere. I like to keep busy though so it’s all good, I’ll sleep when I’m dead. You’re always showing off your pins and pouting your perfect lips – who’s your fave designer at the moment? Oh, you charmer! FAR from perfect but thanks. I don’t think I have just one firm favourite. I love fantastical designers like Alexander McQueen, Gareth Pugh, Elie Saab, Jean Paul Gaultier and Iris Van Herpen. At the moment I’m wearing a lot of Ashley Isham for events. I love his dresses, especially his long statement gowns, they always make me feel like a goddess. And what’s your ‘go to’ outfit for a date? You can’t go wrong with a tight black midi dress and a pair of Nickolas Kirkwoods heels. I’ll bar that in in mind. You’re seeing someone, is it love? I am seeing a certain special someone. I don’t really like to talk too much about relationships, think it’s important to keep some things for yourself. It’s really nice though, they’re a very special person. Who is your celeb crush/girl crush? All I want to do is be locked in a room with Adele and a bottle of vodka to be honest… I love her attitude, she seems like a really fun and open person. You are a great role model for the trans community – tell me what it’s like to identify as Trans when it comes to relationships and love? I always feel a bit weird when people say I’m a good role model, or a role model at all. I’m just living my life the best way I know. If people think that makes me a good role model then I guess that’s a bonus. Dating is hard in this day and age, regardless of your gender. Yes, dating can be tricky if you’re trans, but I think it’s all about knowing your worth, accepting the love you think you deserve and making good choices with who you give your heart or body to. It’s easier said than done, but I try to stick to those guidelines. Can I be honest… When I first met you – many crazy nights out ago – I had no idea you were trans, are people normally so shocked when you tell them? Do you ever get a negative response? I just don’t really think about what people think, I just present myself as a person. If people think I look good then great, if people think I don’t then that’s cool. If people can ‘tell’ that I’m transgender then that’s perfectly fine, I am trans, I’m not trying to fool anyone. It’s all about being happy in your own skin, not trying to look a certain way in another person’s eyes. It’s safe to say you ooze confidence in your shoots and certainly when you’re working on the scene. Was it always like this? No, it’s been a long process to get to where I am emotionally. For a long time I was very self critical and over analytical of everything in my life. But once I started giving myself a break and stopped putting pressure on myself to be perfect, is when I started being happy. It’s not about putting unrealistic expectations on yourself, life is hard enough without beating yourself up. Did you ever get bullied or feel down in the dumps about what you were going through? Yes I was bullied in high school, that was a tough experience. But I learnt from it, it definitely made me stronger, I shouldn’t have had to go through that, but I did and I’m glad that I turned it to my advantage in the end. Take me back to @PxssyPalace. Can't wait for the next one. No other party like it. Caitlyn Jenner nas divided the trans community with various things she said. Where do you stand? You know what, I don’t have a problem with Caitlyn at all, I don’t know her. However I do think that maybe she should give herself some time to grow and learn before she steps into the role of speaking for the community as a whole. I think her heart is in the right place, but she doesn’t have the experience to speak on the issues she’s raising. I think it’s great what she has done for trans visibility in the media, but I think it would do both her and the community a lot of good if she took a step back and started listening instead of talking. How important is it for you to be a role model and supporter for the LGBT community? Do you see progress? I think it’s always important to speak up for what you believe in. I’d like to think that even if I wasn’t a member of the the LGBT community, I’d still speak up opposing inequality. I don’t think it’s in my nature to sit on my hands and bite my tongue when I see something I think is unjust. What advice would you give to anyone new to the gay scene or recently transitioning and looking for love? Make sure you’re loving yourself and just looking for it from somebody else. Previous ArticleEXCLUSIVE Anton Hysen: "I said to myself, if they don’t like me after I come out, I will just delete them from my life"
Next ArticleEXCLUSIVE Paul Sinha from The Chase: "I was NEVER in the closet!"